As the title would surmise, this post is all about memes. 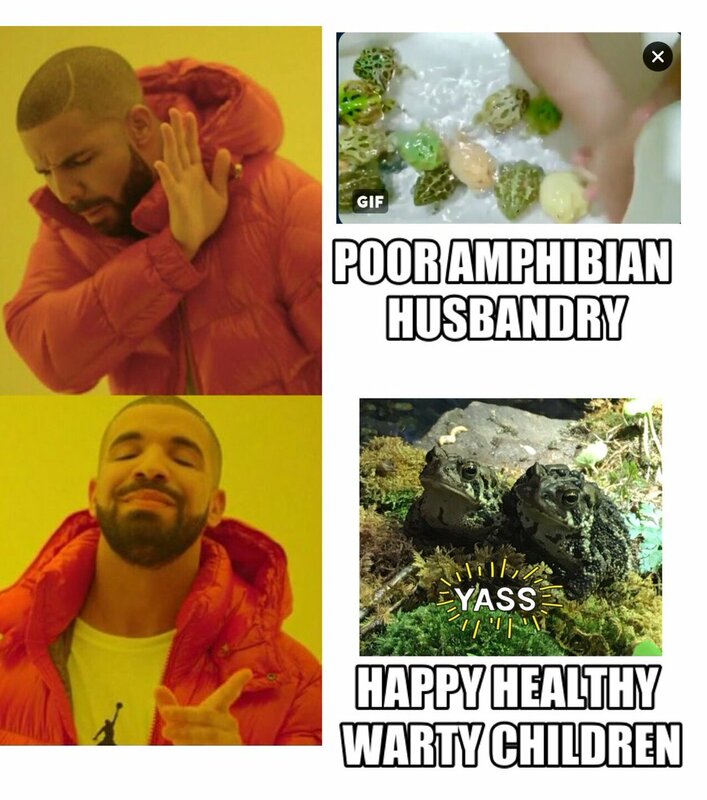 (AND AMPHIBIANS!) As WriterAccess’ resident meme mistress and crazy toad lady, I’m going to task you with seizing the memes of production. Well, content production that is. So, what’s a meme? Think of it as an inside joke that ends up leaking out while the other end of the spectrum is simply an expression of internet culture. Memes can be restricted to communities just like inside jokes among friends, or they can end up going viral to the point that they become adopted into our daily language. Memes can develop from happenings around the Internet like tweets, Tumblr posts, and videos but traditional media like music videos, movies, video games and Twitch streams, and TV shows can end up forging memes. Memes that get adopted by marketers are usually captioned images or videos, but memes can also come in text-only and audio formats. The vaporwave genre of music was initially just one giant meme that’s now considered over after hitting its peak in 2013 or so, although vaporwave aesthetics, music, and subculture is still enjoyed by many people. Incorporating memes into your marketing strategy has some parallels with social media marketing and hashtag use. Namely in that it can either be an utterly genius execution that earns you unending adoration, or it does the complete opposite and winds up being a foible that gets mocked on the internet for all eternity such as DiGiorno Pizza’s infamous #WhyIStayed slip-up which turned into the Olympics of memetic embarrassment. So if you definitely don’t want to experience that, here’s what you need to keep in mind when working memes into your marketing. Of course, feel free to take this with a grain of salt if your brand is known for pushing the envelope. And hey, if you’re selling items or content of an intimate nature then you don’t need to shy away from more “adult” memes. 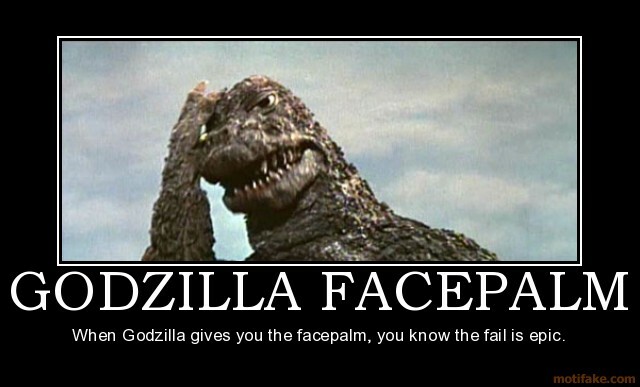 But generally speaking, memes involving religion and/or politics are a bad idea. Ditto for anything that could seem like it’s insensitive and/or could be read as cultural appropriation. A nice wholesome meme that would sit well with just about anyone would be the featured image, the “It is Wednesday My Dudes” meme. 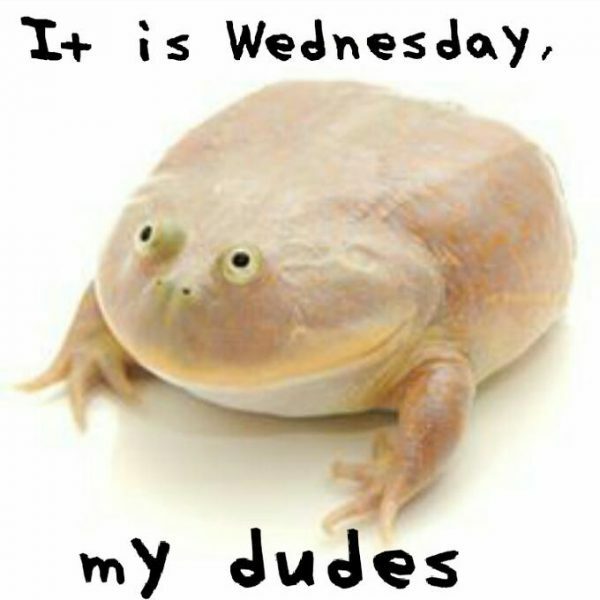 A picture of a Budgett’s Frog accompanied by the aforementioned declaration has its origins explained on Know Your Meme, where it began as a Tumblr post that went viral. A Vine followed suit which now lives on YouTube. There are countless variations of this meme and it’s a lot of fun to play with in various meme-making apps, but it’s always nice to just tell your followers “Happy Wednesday!” and tweet this irresistibly cute frog. Cute animals are virtually always a safe bet! Sometimes a seemingly innocuous meme can actually have an offensive intent and/or origin story. You don’t need to punch down to be funny or work with memes in a funny and engaging manner. So, do your research! And your one-stop shop is Know Your Meme if you don’t have anyone well-versed enough in internet lore right next to you. Know Your Meme is encyclopedic with the full origin stories of popular and obscure memes, it’s like the HubSpot of all things memetic. It’s just a click away, do not do a meme-based repeat of DiGiorno Pizza’s tour-de-fail. A reverse Google Image Search can help you out if you’re not sure what text to enter. However, just because a meme’s origin could be questionable or unsavory doesn’t mean that meme wasn’t eventually seized, like the infamous Drake meme which was originated on a website that has uh, made it onto a couple Southern Poverty Law Center watchlists. Drakeposting has now been used by millions of people and everyone from entrepreneurs to educators and even civic leaders have done at least one Drake meme. With the help of Know Your Meme, you can determine if the meme is still used widely enough to help your brand stay current or if it’s the realm of a tiny group of people on Twitter or other internet haunts. Know Your Meme helps chart interest in memes which you can see at the bottom of the page. It isn’t a 100% failsafe indicator, but it can give you an idea of how long ago it peaked. Using memes in your digital marketing efforts can be a lot of fun, but if you or your writer isn’t familiar with a particular meme it can be disastrous! Remember to do your research first and don’t be afraid to give the writer a little direction.